MIT has established new game research facilities in the Karl Taylor Compton Laboratories (Building 26), where MIT’s first computer game, Spacewar!, was developed 50 years ago. The MIT Game Lab inaugurated its premises with a symposium on Sept. 21, “Games in Everyday Life and Why That Matters to You.”The symposium brought together academics, students and professionals from varied industries such as games, health care and finance to discuss the role of research in game development and vice-versa. MIT Game Lab creative director Philip Tan, a 2001 MIT graduate, announced the lab’s intention to partner with new collaborators and to tackle new challenges. Lab researchers described their process of combining theory and practice by studying how people design and play games, while working with students to create “playable prototypes” to test and demonstrate complex concepts. Video proceedings from the symposium are available athttp://gamelab.mit.edu/symposium2012. 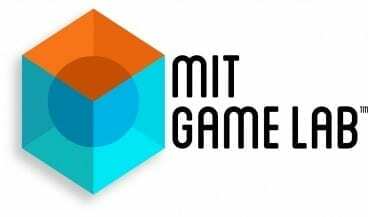 The following day, the MIT Game Lab also hosted the first Boston Festival of Indie Games. Produced together with Boston Indies, a local community of independent game developers, the festival began on the 22nd with Massachusetts Governor Deval Patrick proclaiming “Independent Game Developer’s Day”. The festival was created for the public to learn about the practice of game development, featuring digital games, tabletop games, and live-action role playing games.